We purchased our first home in Suburbia almost 3 years ago now. We sit on about ¼ acre. Why the name the Jahner Farmstead? 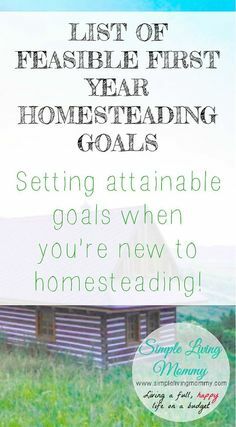 Well, having a homestead is our dream and ideally we would like to live on more acreage and have lots and lots and lots of animals…We love animals. But the point is homesteading isn’t about how much you have. In fact it’s about living sustainably and harmoniously in whatever situation you might find yourself. So what do we do on ¼ of an acre? Surprisingly enough we fit a lot into our small plot. We have 15 raised beds in the backyard and 4 in the front. Fruit trees, herb garden, blueberry bushes, raspberry bushes, grapes, meat rabbits, a feisty orange tabby and a happy-go-lucky German Shepherd. The hardest part about homesteading on such a small plot of land is the lack of space and the fact that our neighbors may or may not approve of our animal hoardage. Ok not hoarding but we have a lot of animals for our cul-de-sac. The biggest struggle about homesteading on ¼ an acre? It is having to get creative which can be exhausting. I grow veggies in the front yard. My steps are lined with pots of tomatoes. There isn’t a patch of dirt that goes without something edible growing in it. I struggle with the sun in my yard and the lack of chickens. However with struggles, come victories like meat rabbits, a growing garden and healthy soil. Before we married, all Mike and I ever talked about was homesteading. Our life took a lot of twists and turns and we never really homesteaded in the way we imagined. Over the years, we’ve lived at times without running water, with wood as our only source of heat and cooking, and have raised a few chickens. But for the most part, we’ve been city dwellers. Gardening has been the one constant and has been my passion. I’ve been hanging out with some amazing homesteaders online lately and reading about their lives has, at times, given me twinges of sadness for dreams not realized, but as a Christian I believe in the sovereignty of God, and have often taken comfort in the Scripture in Acts that says that God determines the times and places of our lives. We live in a small town now on a quarter acre of land. We’re not allowed to have animals here and I often ask myself if I would, if I could. We own a wonderful, tiny little cottage on a pristine lake an hour from here and spend a lot of time there, especially in the summer. Who would take care of animals when we’re away so much? We are close to farms where we are able to get grass-fed beef and raw milk, pastured chickens, eggs and pork. We love being able to support these salt-of-the-earth-people. If we raised our own animals, we wouldn’t be supporting these farmers. What we do on this quarter acre is garden. We have apple trees and raspberry bushes, and grow veggies to our hearts content. We’re expanding our garden this year, so all that will be left of lawn is a small, shady area for picnicking and a place for grandkids to play. Are we urban homesteaders? I don’t know. We’re content and I guess that’s all that matters. Read about part 3 here.